Nahuel Belich (belich) awarded T63024: Multiple Objects Rename a Love token. Nahuel Belich (belich) added a comment to T61699: Background doesn't render in EEVEE in the rendered mode. This is what i get from the demo file. Nahuel Belich (belich) awarded D4029: Implement a Track Surface constraint a Like token. Nahuel Belich (belich) awarded D3966: Mirror Modifier: Bisecting along mirrorplane a Love token. Nahuel Belich (belich) created T56167: [2.8 Crash] Program crash when extruding+face snap. Nahuel Belich (belich) awarded D3524: Overlay: enable/disable drawing of specific object types. a Like token. Nahuel Belich (belich) removed a watcher for Documentation: Nahuel Belich (belich). Nahuel Belich (belich) added a comment to T52685: Flip names for bones its not working . "IMHO, here we'd rather need a new 'Copy Mirror' operator, that would properly duplicate and rename bones at the same time?" Symmetrize is doing that already by it's symmetrizing it at the same time. Nahuel Belich (belich) added a comment to T52704: Ctrl+P Automatic Weights Freezes Blender. not sure, im not a developer, just a user that test and add info to save some dev time. Nahuel Belich (belich) added a comment to T52701: Select Shortest Path. Nahuel Belich (belich) added a comment to T52696: Sculpt: Brush spacing pressure artifacts. I can reproduce it in the 2.79 RC2 using a wacom intuos 4 stylus, mouse works fine. In both examples Fill region its active, that's causing that behavior. Nahuel Belich (belich) added a comment to T52679: hole in bake normal. not sure if it helps now but i simplified the file isolating the the problematic face. Nahuel Belich (belich) updated the task description for T52685: Flip names for bones its not working . Nahuel Belich (belich) created T52685: Flip names for bones its not working . Nahuel Belich (belich) updated the task description for T52650: Grease pencil selection its not automatically updating in Clip Editor. Nahuel Belich (belich) created T52650: Grease pencil selection its not automatically updating in Clip Editor. Nahuel Belich (belich) created T52649: Broken fbx exporter. Nahuel Belich (belich) added a comment to T52625: CPU render will look different to GPU render and fails randomly. Im just theorizing here, but could you setup a render side by side like the last one, but setting the bevel to 0 in OSL or directly disabling it. Again im not a developer, but my instinct in production its telling me that the difference in value its because of the lac of high lights cause by the bevel that's missing in the gpu side that not support OSL. i have to be honest, not a developer im a user testing, downloaded the file started the render in cpu but didnt finish it i have to cancel, the render its huge and not sure where it is a transparent area. . .
Start normal, didn't finish because of the long render time it would naturally a 2K image would take, so i canceled the render. Starts and renders and denoises, there is evident difference on the edges but couldn't notice anything particularly different. Nahuel Belich (belich) added a comment to T52626: Scene too complex to fit in available memory. (allocating buffer Denoising XtWY failed.). Here works as fine, no errors. Nahuel Belich (belich) added a comment to T52609: When my animation is done rendering, when I open it in the video editor the animation shows up as just a grey screen..
Nahuel Belich (belich) added a comment to T52535: bake from multires (random black pixel result). Having the Bias value too low produce the artifacts, not sure if its intended or not but rising just a bit fix the issue. Nahuel Belich (belich) added a comment to T52365: Random vertex selections. Nahuel Belich (belich) added a comment to T52345: UVs_Transform Shear Operator strange behaviour. Nahuel Belich (belich) added a comment to T52351: Blender eats all memory when painting texture. Nahuel Belich (belich) added a comment to T52311: Filmic Looks "None" and "Base contrast" do the same. im not sure about several things i read here, probably need to study more im not the shiniest ball in the jar, so im not going to ask here since this is a bug track not a forum, just want to add some info about the ways that i use or work with this, maybe its a relevant info as a user point of view. Nahuel Belich (belich) created T52311: Filmic Looks "None" and "Base contrast" do the same. Nahuel Belich (belich) removed a watcher for BF Blender: 2.8: Nahuel Belich (belich). Nahuel Belich (belich) created T52039: Exporting bones to fbx with animated scale distorts transformations . Nahuel Belich (belich) added a comment to T50486: Snap conflict, viewport clipping + work in the middle of two faces . Nahuel Belich (belich) created T50486: Snap conflict, viewport clipping + work in the middle of two faces . Nahuel Belich (belich) added a comment to T50227: Alembic uv export/load issue . Nahuel Belich (belich) created T50227: Alembic uv export/load issue . Nahuel Belich (belich) created T49461: Dynamic paint wetmap flickers . Nahuel Belich (belich) added a comment to T49408: differents material shadings under Cycles+viewport in material mode, . also notice that to repeat the test from step one, at least in windows blender needs to be restarted or do a Ctrl+n to work a new file, directly reloading the file leaves a greyish mesh, not a white one as in step one. Nahuel Belich (belich) updated the task description for T49408: differents material shadings under Cycles+viewport in material mode, . Nahuel Belich (belich) created T49408: differents material shadings under Cycles+viewport in material mode, . Nahuel Belich (belich) added a comment to T49358: Blender 2.78 and 2.77. Nahuel Belich (belich) created T49306: Glitch display of mesh Subsurf+wireframe view. Nahuel Belich (belich) added a watcher for Documentation: Nahuel Belich (belich). Nahuel Belich (belich) added a comment to T49194: GP and Uv image editor - E shortcut conflict. 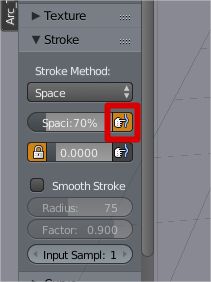 Other possibility( this is always as a user point of view) is to disable E as a quick short cut to sculpt or add a conditional key stroke at least in the uv image editor. Using pie menu D+E works fine, its not as practical as E but at least is there. Nahuel Belich (belich) added a comment to T49195: GP and Uv image editor - no Undo on GP during edit mode. humm i wasn't aware of that. Nahuel Belich (belich) updated the task description for T49193: GP and Uv image editor - Sculpt offset . Nahuel Belich (belich) created T49195: GP and Uv image editor - no Undo on GP during edit mode. Nahuel Belich (belich) created T49194: GP and Uv image editor - E shortcut conflict. Nahuel Belich (belich) created T49193: GP and Uv image editor - Sculpt offset . Nahuel Belich (belich) added a watcher for BF Blender: 2.8: Nahuel Belich (belich). Nahuel Belich (belich) created T48962: Even edge slide, random switch of reference edge. Nahuel Belich (belich) added a comment to T48922: wrong translation on freestyle button . is this mailing list the place to raise the topic? ------> bf-translations-dev@blender.org ? Nahuel Belich (belich) created T48922: wrong translation on freestyle button . Nahuel Belich (belich) updated the task description for T48898: shaders are remove from metaballs on cycles render. Nahuel Belich (belich) created T48898: shaders are remove from metaballs on cycles render. Nahuel Belich (belich) added a comment to T48791: Crash extruding using Ctrl+click + snap to face. Nahuel Belich (belich) created T48791: Crash extruding using Ctrl+click + snap to face. Nahuel Belich (belich) created T48064: Smoke-cycles-OpenvVDB Adding velocity attribute crashes render. Nahuel Belich (belich) created T48054: Blender 2.77 doesn't import blenders fbx - RNA API breakage. Nahuel Belich (belich) added a comment to T47210: Compostiting, Bad AA using distort + undistort nodes. 3-play with the setup at the compositor or follow the next steps. 4-change distortion K value in the clip editor. Nahuel Belich (belich) created T47210: Compostiting, Bad AA using distort + undistort nodes. Nahuel Belich (belich) added a comment to T46309: Cycles reflection and bump artifacts. to sum up, this termator thing affects reflections, refractions, bump maps or ¿can we call it shading distortion? and also shadows(actually shading not shadows per se)? it seems to be a really big stuff not only a few things, basically affects every possible material that we could create exept volumetrics, emmit or non distorted shaders on high poly count models. It could be possible to add some experimental feature at least to have a possibility to do a workaround using experimental stuff? or this will mess with some core functionality? Nahuel Belich (belich) created T46309: Cycles reflection and bump artifacts. 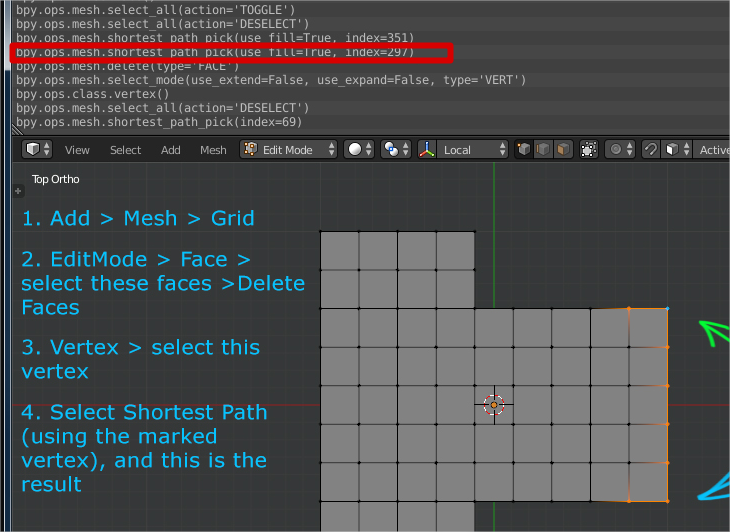 Nahuel Belich (belich) created T46148: sculpt fails on clipping mode (fixed). Nahuel Belich (belich) added a comment to T45881: Viewport material mode broken. Nahuel Belich (belich) created T45881: Viewport material mode broken. Nahuel Belich (belich) created T45880: Texture paint, texture mask, random doesn't work alone. Nahuel Belich (belich) added a comment to T45728: Snap to face performance drops down over 50%. Nahuel Belich (belich) created T45728: Snap to face performance drops down over 50%. Nahuel Belich (belich) created T45641: VSE MetaStrip cut crash. Nahuel Belich (belich) created T44604: rake doesn't properly align the strokes. Nahuel Belich (belich) added a comment to T44514: Crash under cycles rendering using F12. i just downloaded both 32 and 64 version of the las build blender-2.74-3bffcc6 for windows, both still crash the same way, actually now also crash rendering using the button in the interface(but using the interface its a really random crash), so the deal must be among the object and the armature, removing the armature worked really well for me in my tests, maybe its on the material, i leave the material because removing it didn`t fully stabilized the render but made the crashes more random. Nahuel Belich (belich) created T44514: Crash under cycles rendering using F12. Nahuel Belich (belich) created T43997: copy paste keyframes on curves fail on unselect handles . Nahuel Belich (belich) added a comment to T43432: Light groups lit all the materials on different scenes . 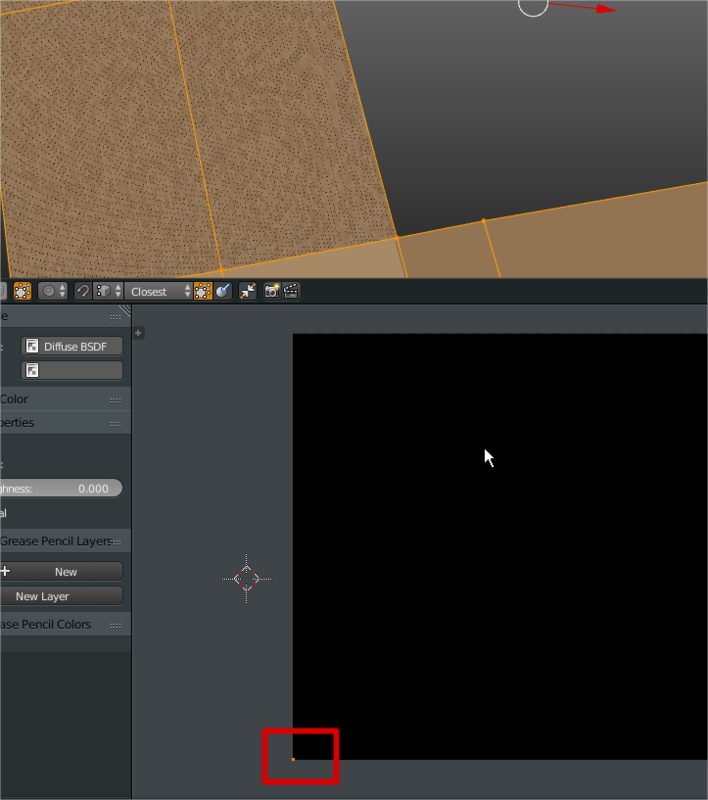 In the Material buttons (F5) Shading panel, you can indicate a Group of Lamp Objects to be used as light for rendering, instead of the usual visible Lamps. This actually enables per-Material lighting (independent of which Object has the Material, or whether the Lamps are in visible layer). If you don't want Lamps from a Light Group to work on the other Objects, just move them to an invisible layer."" Nahuel Belich (belich) created T43432: Light groups lit all the materials on different scenes . Nahuel Belich (belich) added a comment to T43424: undo changes the active scene. on the step 1-fille above. Nahuel Belich (belich) created T43424: undo changes the active scene. Nahuel Belich (belich) added a comment to T43293: Grease pencil crash on vse. the "Intro" submit the report before finish it. 4-try on the right monitor(the vse) to select a grease pencil point using Right click. 5- look at the crash. Nahuel Belich (belich) created T43293: Grease pencil crash on vse. Nahuel Belich (belich) created T42728: "add texture paint slot" Alpha incomplete set up . Nahuel Belich (belich) added a comment to T42543: Project paint artifacts..
someting i realized, at the moment of testing if you are using windows, hide the bottom desktop tasks bar or move it to a second monitor, the bar makes the blender window a bit smaller and the test file no longer works. Again seem extremly difficult to get the angle, but i accidentally trash several textures because of this before realizing what was happening. Nahuel Belich (belich) created T42543: Project paint artifacts..
Nahuel Belich (belich) added a comment to T41566: Tex Paint: automatic add slot displace crashes. tested using e2c412f and it seem to be working fine, no crashes. Nahuel Belich (belich) added a comment to T41591: Windows7: Blender header menu bar is missing. im just a user, but that happened to me when i didn't fully uncompress the .zip file of a portable build. Nahuel Belich (belich) created T41569: Tex paint: project paint bleeds out of the boundaries of the image . Nahuel Belich (belich) created T41566: Tex Paint: automatic add slot displace crashes. 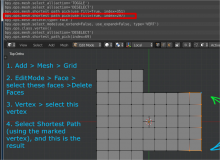 Nahuel Belich (belich) added a comment to T40012: Blender Particle Convert. enzyme69, do you mean this? Nahuel Belich (belich) raised the priority of T39874: Bone roll resets if bones are moved in edit mode from to Needs Triage by Developer. Nahuel Belich (belich) added a comment to T39735: New auto smooth creates artifacts with flat shaded faces(BI). @mont thanks for the tip about "---" ill take didn't know about it ^^, and also for the fix, ill test it as soon as i get a new version from builder or graphic all.